This lovely gal will dance her way into any girl's heart the second she sees her. 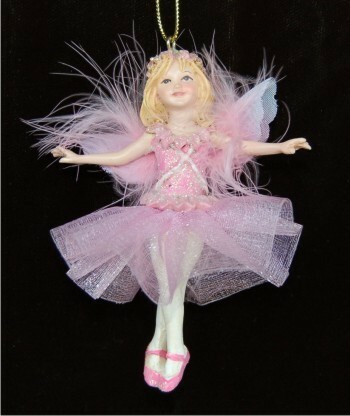 The our sweet ballerina Christmas ornament starts with a hand-sculpted mold used to make this quality resin product that is painted by hand and outfitted in a charming costume. One of our kids ornaments designed especially for young girls, the sweet ballerina resin ornament will thrill her when she draws it from our custom velvet bag, a Russell Rhodes exclusive.